Carlyle Capital Corporation touched off a wave of selling on Thursday, especially in mortgage real estate investment trusts, after the company failed to meet some of its margin calls and received a default notice. Carlyle Capital is a European listed, publicly traded company that is an affiliate of the much larger Carlyle Group, a private equity firm. Carlyle Capital apparently received margin calls from seven different parties on Wednesday, totaling $37 million dollars. The company said that these parties demanded additional collateral and that Carlyle Capital was unable to satisfy four of their demands. Carlyle Capital fell 58% on Thursday, touching off a wave of selling across the world that saw some REITS fall as much of 20%. The company is listed in Amsterdam. According to a report in Bloomberg, most of Carlyle's counterparties are Wall Street firms. This is largely the same story that we have seen over the past few weeks with a number of hedge funds failing - banks are tightening up their margin lending standards as the value of the underlying assets that are being used as collateral are dropping. This leads to forced margin calls, with firms being required to either put up more in the way of collateral or liquidate some or all of their positions. The problem is that many of these firms that are getting hit the hardest are extremely leveraged. They don't have the means to meet these margin calls, and if they try to liquidate assets, they are not going to get nearly as much as they believe that they should. 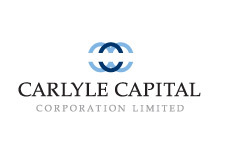 It will be interesting to see if the Carlyle Group will extend Carlyle Capital Corporation a further line of credit to meet these margin calls demands. Carlyle Capital eliminated its dividend late last month and had met margin calls and additional collateral requirements of $60 million dollars, but couldn't meet this extra wave of requests. We'll be keeping an eye on this situation.